"openSUSE Education team is proud to announce the first ever openSUSE Education and KIWI-LTSP live/installable server DVD. The DVD is created using openSUSE Build Service, a free and open source multi-distribution collaborative packaging platform and openSUSE distribution builder. The build service uses the same KIWI imaging technology to create live DVD we use to create kiwi-ltsp images." "SAN FRANCISCO, April 8 /PRNewswire/ -- Linux Foundation Collaboration Summit -- The openSUSE Project and the Linux Foundation today jointly announced that the openSUSE Build Service will be added to the Linux Developer Network (LDN). 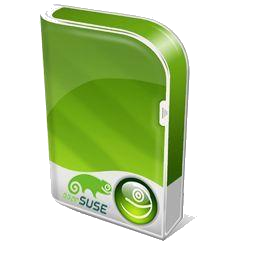 The openSUSE(R) Build Service is the only development platform that enables developers to package software for all major Linux* distributions, and is used to provide transparent infrastructure for the creation of the entire openSUSE distribution. 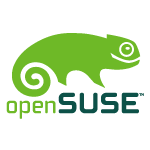 Additionally, the openSUSE Project, a Novell sponsored and community-supported open source project, announced a new release of the openSUSE Build Service with support for compiling for the ARM platform." "After noticing that sgt-d has created a custom Google search for openSUSE, and given that Mediawiki's native search capabilities are.. well.. suboptimal, I quickly hacked up a nicer search form that uses the above mentioned custom Google search (because the page at Google is not branded)." "Sascha is active in many areas of openSUSE (Marketing, Feature Screening and using Build service for his projects), but he is particularly active in openSUSE Weekly News. More than 1300 articles translated and edited since October 2008th is quite some effort. That alone is deserving attention, but he didn’t stopped there and recently he started a new initiative in cooperation with Radiotux. The plan is to prepare digest of openSUSE Weekly News in German. More about that you can read in his Radiotux blog (it is German) and even more in his Lizards blog. ..."
"The Google Summer of Code student application period wrapped up last week, and the overall number of applications is down from 2008. However, this is shaping up to be a good thing. Googler Leslie Hawthorn blogged about the numbers, and noted that the number of proposals (nearly 5,900) is actually down from last year, but the quality is up:"
"For quite some time, we had user requests (fate #100386) to provide the logging that would be readable to users (= not only YaST developers). Such logs should provide the information what certain YaST action is really doing to the system and exclude all the internal debug info our y2logs are full of." "I wanted to release a first milestone before easter, but unfortunately I found 2 blocking issues while pretesting the DVDs and the live cds have a very poor performance at the moment, so I withdraw this idea." "We are working currently on the next feature release of the openSUSE Build Service. You can find already a first beta 1 version of 1.6 at the usual places. This new release features mainly the new Cross Build Support implemented by Martin and Jan-Simon. This allows to build packages for all hardware architectures, even without the need to own these. The emulation is realized via qemu." Martin Mohring replied in this post with some insights on the cross-build efforts. "As you can see the week of 11th to the 17th of May is openSUSE Week. What’s so special about this week? Well in a nutshell, the aim is to get all corners of the community together to focus on specific topics. These topics range from wiki cleanup to packaging; testing certain features/functions to translation work; discussion with the openSUSE Board and almost anything inbetween." "Welcome to the third issue of the Kontact suit series. Today we'll give a look at the Calendar kpart (KOrganizer): By default, it shares many interface problems with Contacts, they both show non-sense information by default, take a look: ..."
"Logwatch is a customizable log analysis system. Logwatch parses through your system's logs for a given period of time and creates a report analyzing areas that you specify, in as much detail as you require. Logwatch is easy to use and will work right out of the package on most systems." "Quota allows System Administrator to specify limits on two aspects of disk storage: the number of inodes a user or a group of users may possess; and the number of disk blocks that may be allocated to a user or a group of users. The idea behind quota is that users are forced to stay under their disk consumption limit, taking away their ability to consume unlimited disk space on a system. Quota is handled on a per user, per file system basis. If there is more than one file system which a user is expected to create files, then quota must be set for each file system separately." "In India good internet connection is quite expensive, to download 2GB iso it takes me about 15 hours. Here is what I do to optimize the download speed available." "With the release of openSuSE 11.0, when you perform and online-update from the openSuSE update repository, you are using zypper, regardless whether you use yast, the desktop updater applet or, of course, zypper itself. If you added the update repository with the '-k' (--keep-packages) option by using 'zypper ar -k http://repo-url alias', or modified the repository to include the option (zypper mr -k update-alias) all the rpms installed from that repository will be cached on your system for later use in a local rpm repository. ..."
"dumb 0.9.3 (Dynamic Universal Music Bibiotheque), kqlives 20080202 (Zelda like RPG)." "Today, the KOffice team has released the first, and hopefully the only, release candidate for KOffice 2.0, bringing more than three years of work to a temporary conclusion. Compared to Beta 7, this release candidate brings a multitude of bug fixes and not a single new feature, as it should be!" This Package is available under KDE:KDE4:Factory:Extra-Apps. "The unavoidable bugs arose, mostly build bugs. So if you had an error on BOOST_FOREACH, it is fixed. Bye-bye, gone." You can reach the Download through: BuildService - home:/hfiguiere. "Update: I accidentally published an incomplete version of this blog entry the other day before the actual content and samples were ready. As part of our ongoing Embrace and Extend.NET series (SIMD, supercomputing), today I wanted to talk about the Mono.Tasklets library that has just landed on Mono's repository. This library will become part of the Mono 2.6 release. Mono.Tasklets is the Mono-team supported mechanism for doing continuations, microthreading and coroutines in the ISO CLI. It is based on Tomi Valkeinen's excellent work on co-routines for Mono." "Finally the day has come, when the curiosity about the KDE4.3 development branch took the better of me. Unfortunately the gap between what I was blogging on caused some confusion on what is really new out there. So the review will be a little unusual, more like a shooting in the dark ‘oh this looks like it’s not in 4.2′ :) If anything, you’re welcome to send corrections :) just in case." "I have created a Color Scheme to go along with the previous post on the KDE4 Oxygen Theme for openSUSE 11.2. Notice the green highlights and mouse over effects around buttons etc.. also the dark green shadow effect on the focus window." "You maintain some packages in your repository, which you package from some upstream source. You want to quickly compare versions across your development project, Factory, and upstream. You want to configure what is the package list and to display packages only if they are outdated. You want to configure a view writing myview.ini to ~/.osc-overview which says something like: ..."
"ntop is a free opensource network traffic probe that shows the network usage. ntop is based on libpcap and can run on Linux/Unix and Windows operating system. ntop provides a very easy to use a web access to navigate through ntop traffic information and get a dump of the network status." "Users discuss the advantages/disadvantages of the two. Focus is on Multimedia and having a distro ship without the need to add and configure this requirement. It raises some logical replies based around users taking time to research a little before purchase." Which Raid Array Do/Don't you use? "You will find some interesting comments here on the subject of Raid. If you are thinking about using Raid - check this thread out for some valuable tips." "The sweet smell of success. We love to hear when users are happy with their openSUSE install. Read some positive comments here." "Bigger is Better / Size Matters and all that. Most of us are probably content with 2 or 4 cores. It seems some of us just don't know when to stop." "linux-foundation.org: The wait is over! After receiving nearly 100 entries from all over the world, The Linux Foundation is exceptionally please to announce the winners and runners-up for the "We're Linux" Video Contest." "Last year we did some work in Mono together with Luis Ortiz to support 64-bit arrays in the VM. What was interesting about this work is that even though the ECMA standard allows the index of arrays to be a long .NET on Windows64 does not support this and Java would require modifications to the bytecode format. Altering Mono became the natural choice for those looking to host very large arrays in an advanced and managed VM." lists.opensuse.org has 36836 (-26) non-unique subscribers to all mailing lists. The openSUSE Forums have 26123 (+429) registered users - most users including guests ever online was 7771, 02-Dec-2008 at 17:31. 2669 (+49) of 6094 (+157) registered contributors in the User Directory have signed the Guiding Principles. The board has acknowledged 263 members. The Build Service now hosts 5844 (+83) projects, 63007 (+724) packages, 11316 (+213) repositories by 13992 (+234) confirmed users.